Meet Josh. 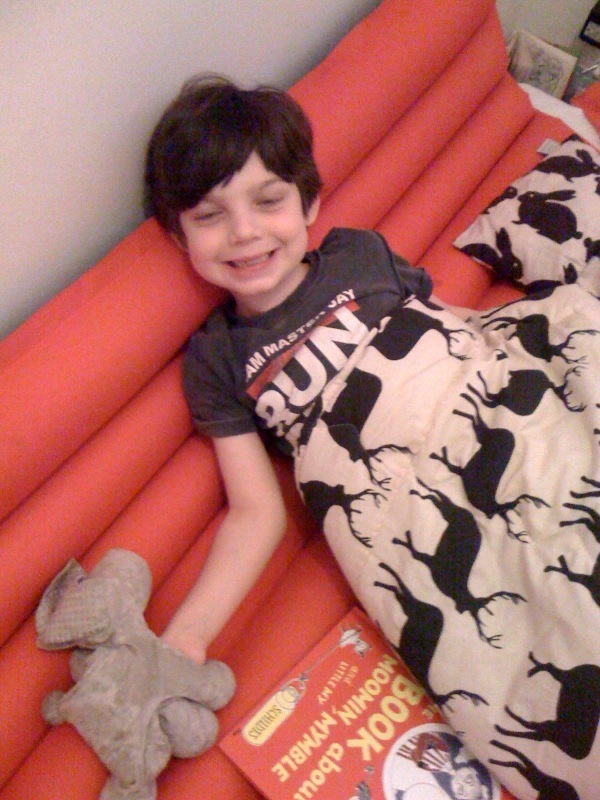 He stayed at our friend Amy’s house over the weekend and refused to get out of the stag sleeping bag as he loved it so much. What a very clever Josh he is. Here’s proof that your bird box needn’t be brown and boring. 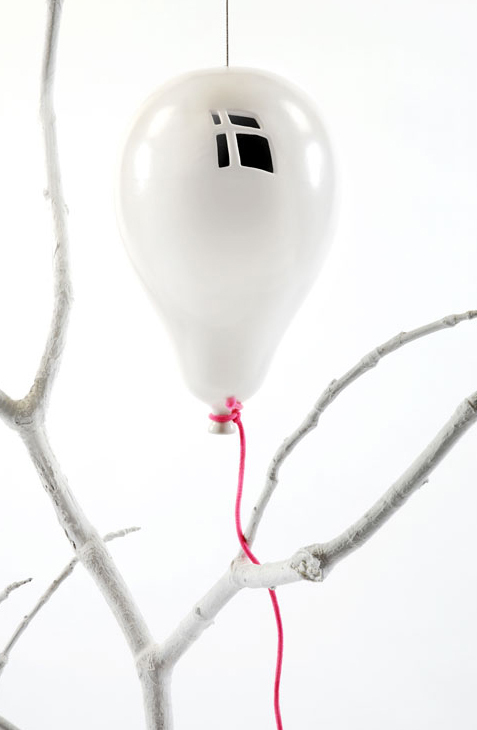 Designed by Renata Manau, founder of Biscuit, these balloonified bird boxes are made in Stoke-on-Trent using energy efficient manufacturing methods. 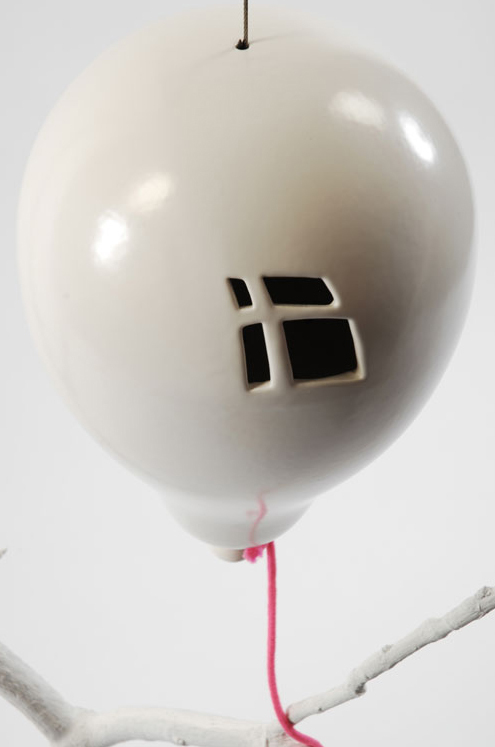 It’s Renata’s wish to draw attention to the talented ceramics makers who still reside in Stoke, once the heart of the British ceramics industry. It’s also the place where Anorak founder Laurie studied so we’re doubly delighted by Renata’s efforts. One word of caution for you: Watch out for herons, their sharp beaks may just pop your balloon! Wowzers! 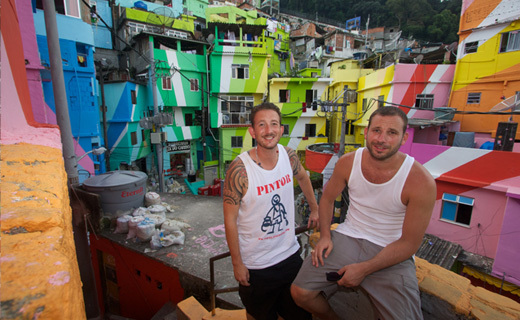 look at this amazing project to paint Rio De Janeiro’s Santa Marta favela. 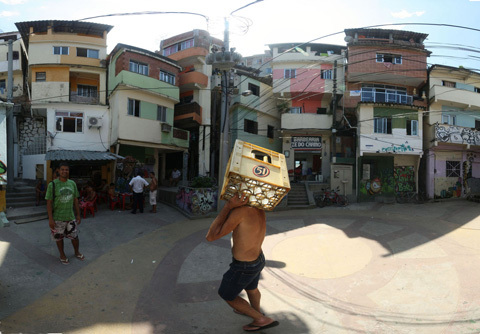 With the help of the local residents, artists Haas and Hahn have lovingly converted 7000 square meters of hillside slum into a new monument for the community. 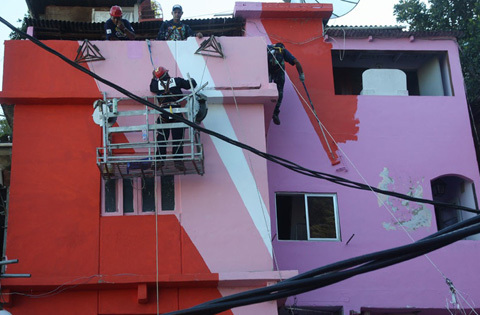 Their long terms aim is to paint an entire Favela, and you can donate to their cause here. Thanks Oh Joy for drawing our attention to this wonderful project. Click to enlarge. It's worth it.